The first time you see Aretha Franklin in Amazing Grace, she’s walking down the aisle of the New Temple Missionary Baptist Church, bathed in shadows, preparing to be received by her band, the Southern California Community choir, an enraptured audience, and God. It’s a fitting introduction to a living legend who, after spending the previous decade topping the pop and R&B charts, was finally returning to her gospel roots. Franklin’s aura vibrates within those hallowed walls before she even steps on stage. Everybody in the room knew that they were in the presence of greatness, eagerly waiting to witness a musical evocation. What they didn’t know is that they were about to see one of the great performances of the 20th century. In 1972, Warner Bros. hired Sydney Pollack, fresh off of a Best Director nomination for They Shoot Horses, Don’t They?, to film the recording of Aretha Franklin’s gospel record Amazing Grace. Armed with a camera crew and a team of sound engineers, Pollack took over the New Temple to document the two-night live session. Unfortunately, the filmmaker, having never recorded live music before, failed to use a clapperboard before each take to synchronize picture and sound. His 20 hours of footage were effectively worthless; after months of Pollack’s team trying to lip-read the reels, the film was indefinitely shelved. Enter Alan Elliott, a film producer and former A&R man who had been obsessed with the film since his days at Atlantic Records. In 2007, he met Pollack and, with the director’s blessing, mortgaged his home to buy the footage back from Warner Bros. Elliott eventually created a cut of the movie, but when he tried to set up a private screening in 2011, Franklin sued to prevent it. This would be the first of many successful attempts by the artist to stop Amazing Grace from being shown in any venue, despite being on record as a fan of the film. (Her official reasons for stopping its release have never been made public.) Following Franklin’s death, Elliott arranged for a screening of Amazing Grace for 50 members of her family, who received it rapturously. Finally, he and Sabrina Owens, Franklin’s niece and executor of her estate, reached a deal to release the film. If it featured any other artist, the movie might have trouble living up to the expectations generated by its arduous journey to the big screen and its reputation as a lost film. 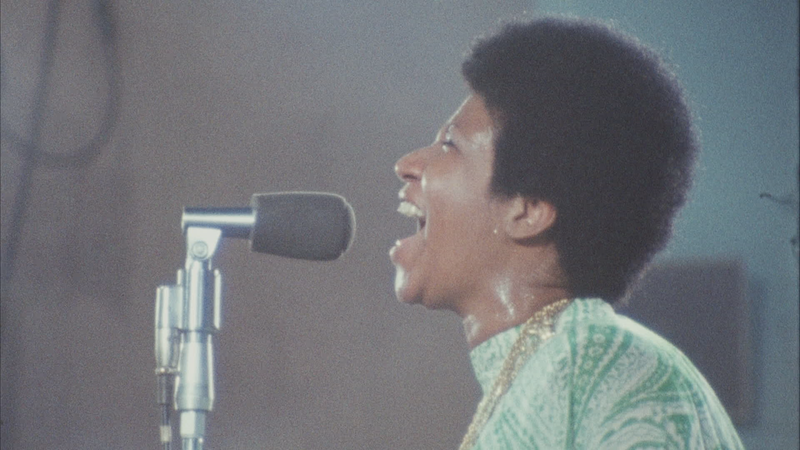 But from the moment that Franklin sings her first note, Amazing Grace enters the concert film pantheon alongside other greats like The T.A.M.I. Show, Gimme Shelter, and The Last Waltz. Franklin’s performance inspires awe because it’s stripped down to the bare essentials and yet still possesses a divine scope. Her unique ability to play the audience like an instrument, to send waves of wonder throughout the room at specific moments during every song in her repertoire, is only amplified by an intimate space. Even at the height of her career, Franklin never rested upon her Queen Of Soul laurels. She earned the label time and time again. Pollack’s team frequently films Franklin in close-up, lingering on her tight, exercised face, or in long shots to emphasize the reach of her voice. She’s undoubtedly the focal point of the project, but Pollack’s comprehensive filming strategy highlights other key individuals in the room that contributed to her performance. Since Franklin’s focus was almost exclusively on the recording process, she doesn’t directly engage with the audience. Thus, Reverend James Cleveland takes up emcee duties for both nights, creating a verbal conduit between Franklin and the crowd. Armed with his showman-like experience as a preacher, he establishes a joyous mood while also performing pianist duties on certain tracks. Meanwhile, choir director Alexander Hamilton executes the unshowy but crucial job of directing Franklin’s support team to buttress her hymns. Pollack and his team showcase these people—including her small band, which includes renowned talents like Cornell Dupree, Bernard Purdie, and Chuck Rainey—as supplementary elements essential to the performance. Yet Amazing Grace’s ability to build a bridge between contemporary audiences and those in the New Temple might be its finest quality. One of the joys of watching the film in a theater, an absolute must if possible, is how Pollack’s footage successfully dismantles the barrier between screen and spectator. Amazing Grace creates its own fantastical space that allows someone to imagine that they are sitting in that South Los Angeles church experiencing Franklin in real time. Rather than ignore the crowd, as Jonathan Demme later would with Stop Making Sense, Pollack welcomes anyone to join it. Reactions to Franklin’s performance probably wouldn’t be radically different in 2019 than they were in 1972. It’s not absurd to imagine someone today jumping to their feet when Franklin hits a high note, like the choir behind her does; or being moved to approach the screen in a spiritual haze, like the woman who walked up to the stage on the second night; or to goofily clap and sway along with the music like Mick Jagger. (The Rolling Stones were still finishing Exile On Main St. when Jagger and drummer Charlie Watts went to see Franklin record Amazing Grace. She’s at least partially responsible for their use of gospel arrangements on that album.) Amazing Grace creates a palpable feeling of community that reaches across time. Franklin was operating at the height of her talents when she recorded Amazing Grace, which became her most successful record and the best-selling gospel album in history. Yet the strength of her performance in the film never once depends on any familiarity with the album. It exists in its own context and can be appreciated without any exposition. (The title cards that open the film are helpful but ultimately unnecessary.) Pollack spotlights the inherent religiosity of the music and the event, but Amazing Grace appeals equally to the devout and the secular because Franklin’s sheer power cuts through divides like a bread knife. A Baptist background is not a prerequisite to fully appreciate songs like “Precious Memories” or “What A Friend We Have In Jesus”—they work because Franklin brings them to life, her rendition providing them with meaning. “If you want to know the truth, she has never left the church,” C.L. Franklin, Aretha’s father, remarks to the crowd, an all but redundant statement for anyone with a pulse. 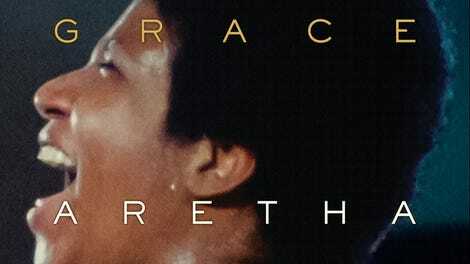 An evergreen tribute to one of America’s finest singers, Amazing Grace, like its subject, is one of a kind.